New Delhi, April 16: Boost, one of the leading brands in the health food/drinks category, on Tuesday announced appointment of cricketers Rishabh Pant and Shreyas Iyer as brand ambassadors. With this alliance, Pant and Iyer join Virat Kohli and Mahendra Singh Dhoni who have been associated with the brand for a long time. Pant and Iyer, youngest achievers' in Indian cricket, are a perfect fit for the brand that aims to empower kids become champions in sports and life, the company said. On his collaboration, Pant said: "I am delighted to be part of the Boost family, a brand that has been associated with sports and loved by kids for decades. Every kid needs an inspiration in his life. In my case, it was my family that always encouraged me. Boost is doing the same by inspiring kids to play a bigger game." 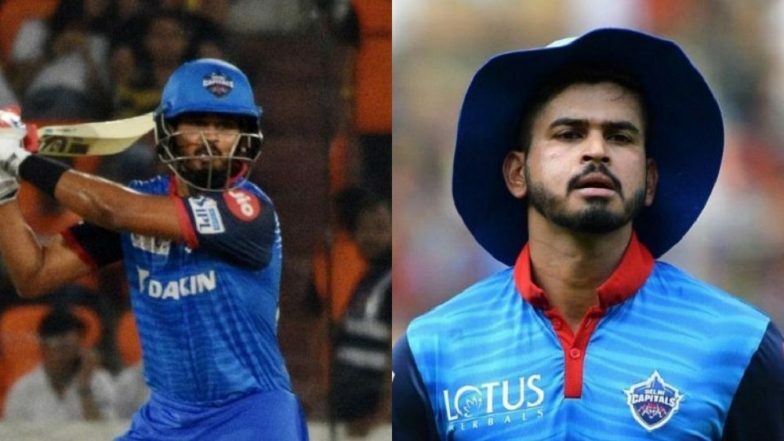 Rishabh Pant, Ambati Rayudu Not Part Of India Team For ICC Cricket World Cup 2019; Netizens Express Disappointment. Iyer said: "Boost has an iconic presence in India with legends of the game, like Virat Kohli and M.S. Dhoni, being associated with it. I'm humbled to be part of such a brand and looking forward to super-energetic innings with Boost." "I highly resonate with the brand's value of taking on bigger and tougher opponents and hope to learn more on my journey with Boost," he said.